Back by popular demand, the Youth Music Venture is gearing up to discover even more fresh local talent – so dust off your dancing shoes and warm up those vocal cords! 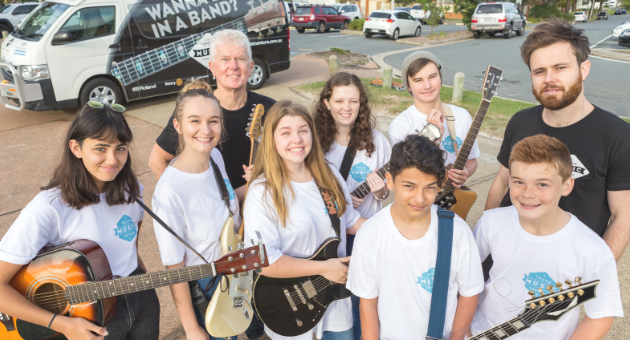 The Youth Music Venture program will return on January 14-17, and they are officially seeking entries for the four-day school holiday program at the Helensvale Library and Cultural Centre. The program – which sees young people on the northern Gold Coast mentored by professional musicians – blends performance skills, song writing and sound production, and culminates in a showcase concert on Friday, January 18. Participants won’t just learn new skills from industry experts, but will also gain immeasurable confidence through the program and meet friends for life. Register and audition online, simply by sending through a video or audio clip of you singing or playing your instrument of choice. The program is geared towards musicians aged 12-17 years with a basic musical understanding. For more details, including registration for the free program, visit www.youthmusicventure.com.au.